If you didn’t know, it’s National Dental Hygiene Month! Here’s at DentalPost, we’re celebrating all month long with special interviews from real dental professionals just like you. Last week we featured the as-friendly-as-she-is-talented Carly Scala, and got a look at her work helping the people in her hometown. This week, we’re highlighting Melissa Rosochacki, RDH, MBA. This self-described “people person” loves her rewarding career as a hygienist and is thankful for the opportunity to work with so many patients and professionals across the nation. What does hygiene mean to you? Hygiene for me has been a way to spread the message of prevention. 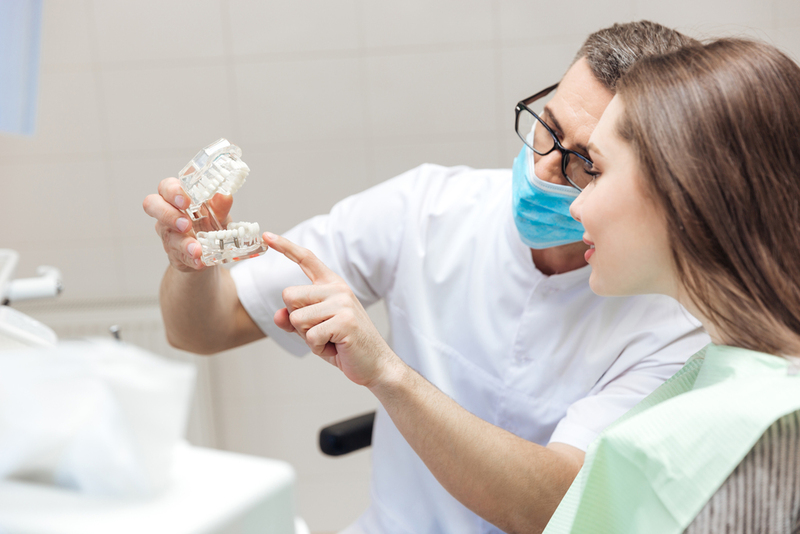 So many people feel they are just “doomed” to have a mouth full of “bad teeth.” I enjoy being able to educate people on the role that they get to personally play in preventing decay. In addition to what I’ve been able to share with patients, hygiene has been a vehicle for me to grow professionally. I have served as a clinician in private practice and public health, an educator, an administrator, a consultant, a speaker, and as a business owner. Hygiene has paved the way for some truly incredible opportunities. How many years have you been a hygienist? I have been a hygienist for 6 years. 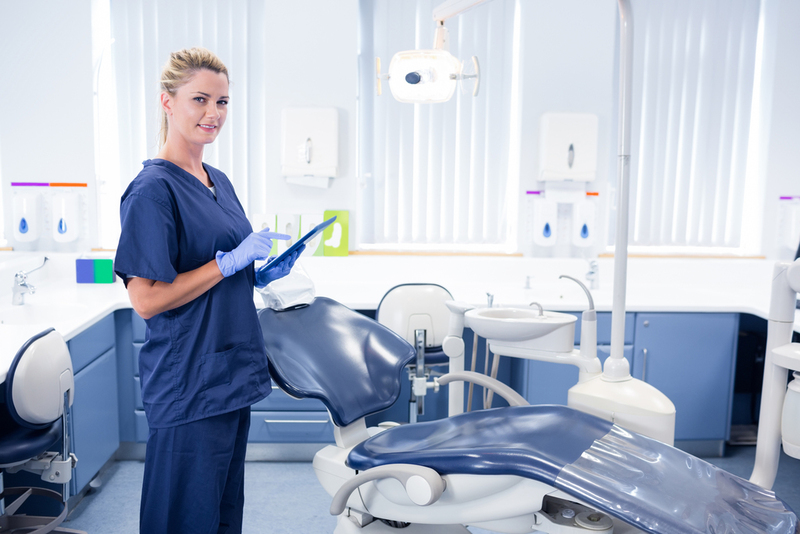 What sparked your interest in becoming a hygienist? I don’t have the story of always seeing myself as a hygienist from a young age. Hygiene was a second career for me. Upon researching education programs to consider, hygiene struck me as a way to have an impact on many people. I chose wisely because I have been able to impact patients, students and peers throughout my career. What is the most rewarding part of being a dental hygienist? I’m the epitome of a people person and I love to teach. Hygiene was a way for me to have an opportunity to teach someone about something that is so important, their oral cavity. I love being able to share with patients the oral health/total body health connection. Something we completely take for granted produces this light bulb moment for the next person. The other thing that I find truly rewarding is all of the wonderful connections and friendships I have made with other hygienists nationwide. We truly are an amazing, hard working, passionate group. What is your favorite experience you’ve had as a dental hygienist? Working in a school setting performing mobile dentistry has to be my all time favorite experiences. The children that I served were an amazing bunch. I had one little girl that was about 9 or 10 that had lots of self-doubt. I took extra time to share with her something that I knew she could do really well. We went over brushing and flossing technique until she felt very comfortable with her new found skill. When I returned to the school 6 months later, she was beaming from ear to ear and couldn’t wait to tell me that she was brushing 2x day and flossing. When I completed her assessment, she had such improvement. No more bleeding gums or “fuzzy” teeth. The extra special part was that she told me how she was helping her little brother and shared what she learned with her mother. They had all started a new daily regime. Then the both of us were beaming from ear to ear. You honestly never know the impact you can have by taking a little extra time. Stay tuned to our blog for the next Dental Hygienist of the Week! Be the first to read more stories like this by following us on our Facebook, Twitter, or Instagram.